Lyrica is a pretty cool App for your Mac. I found it in the App Store for the Mac. 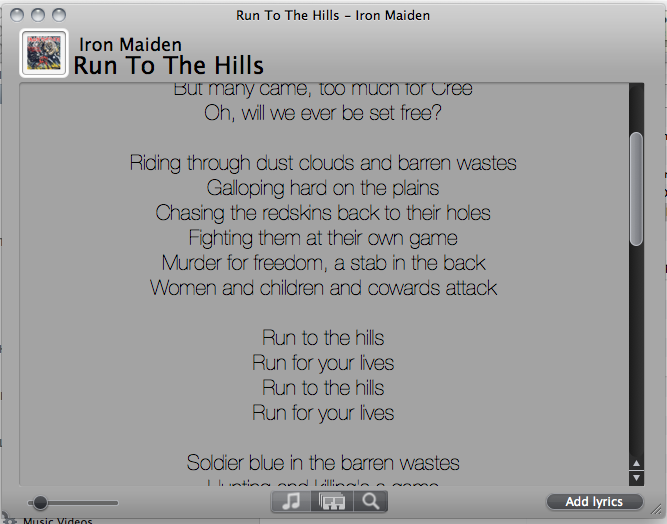 Lyrica shows you the lyrics to the song which is played by iTunes. By clicking on the button “Add lyrics”, Lyrica add the lyrics to the mp3 file. It was never so easy to fetch lyrics.